The Operating System is a base infrastructure software component of a computerized system. It controls all basic operations of the computer (or other electronic devices such as PDA, smartphone, etc.). The Operating System allows the user to install and execute third-party applications (commonly called apps for short), usually adding new functionality to the device. Among the most popular computer operating systems are Microsoft's Windows and Apple's MacOS, along with the various distributions of Linux. 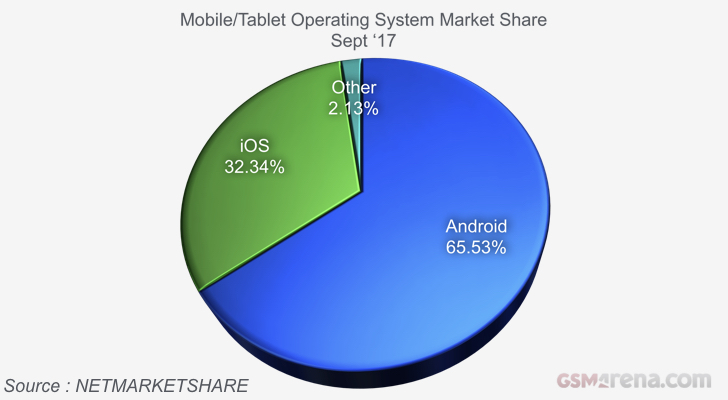 The most popular OS's for mobile devices (smartphones and tablets) are Apple's iOS and Google's Android and they are the only ones that still show growth. Down the ranks there are RIM's BlackBerry OS and Microsoft's Windows Mobile. Symbian holds a distant fifth place, while it wasn't that long ago it was still the most widely used mobile OS. Symbian held its top position for years but its market share has been slowly fading away ever since touch-operated smartphones became the norm and Symbian failed to deliver an intuitive touch UI. Almost ten years ago, Microsoft's Windows Mobile was a strong player too, offering the first touchscreen smartphone experience with the PocketPCs powered by their OS. More recent Blackberry phones use the Android OS with added Blackberry security features. On October 8th 2017, Microsoft stated that whilst they will support the Windows Mobile platform, they will cease development on any new features. Today mobile devices with a proper OS are called smartphones and users have a wide choice of applications, such as games, productivity apps, communication or social media apps, digital maps, etc. Standardized operating system platforms make it possible to provide a consistent user interface (and experience) across devices from different hardware manufacturers. Yet, Android smartphone manufacturers like to customize the user experience so each offers a slightly modified version of the stock Android UI. While the major players these days are clear, over the years we've seen the emergence of numerous mobile OS projects including but not limited to Palm's webOS, Samsung's Bada OS, Nokia's Maemo OS, Nokia's MeeGo OS, LiMo OS, Tizen, BlackBerry's Playbook OS and more recently, the Jolla's Sailfish OS and Mozilla's Firefox OS.